Powerful typhoon Trami slammed through Japan's main island over the weekend, paralyzing transportation and wreaking havoc in Tokyo and other areas. 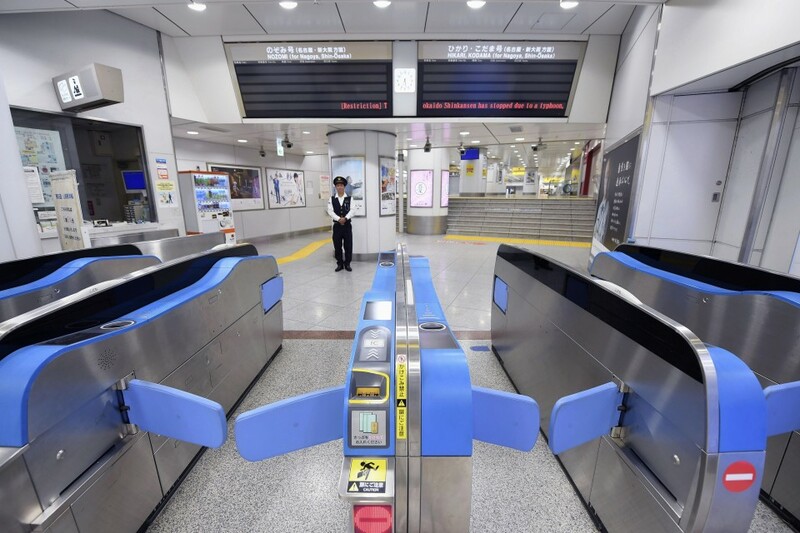 JR Tokyo Station, which would normally have been bustling with passengers on a weekend, was deserted on Sunday evening after all JR train services in the Tokyo metropolitan area and the Tokaido Shinkansen Line, which connects the capital and Osaka, were suspended. 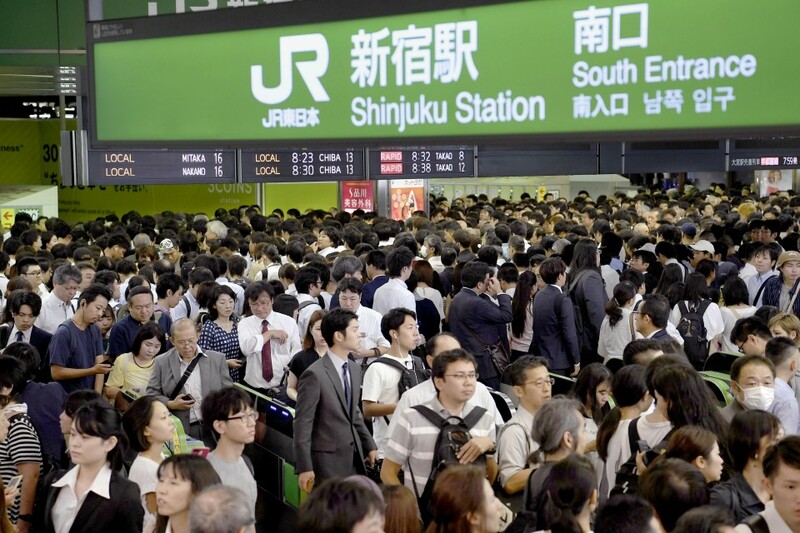 After the typhoon cleared on Monday morning, Tokyo's JR Shinjuku Station swarmed with people as rush hour commuter traffic remained disrupted by the suspension of some train services and lengthy delays on others. 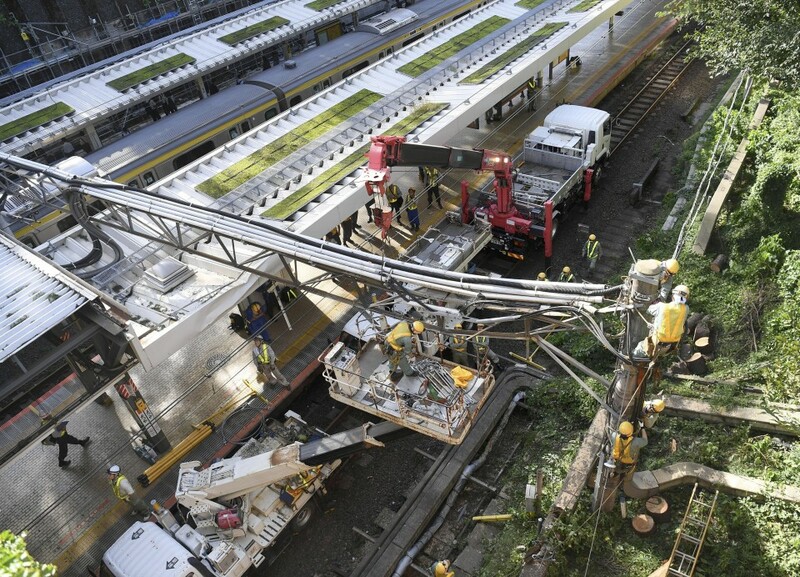 Elsewhere in downtown Tokyo, workers scrambled to clear fallen trees, including one that fell near a train track at JR Yotsuya Station and another one that blocked a street in Minato district. 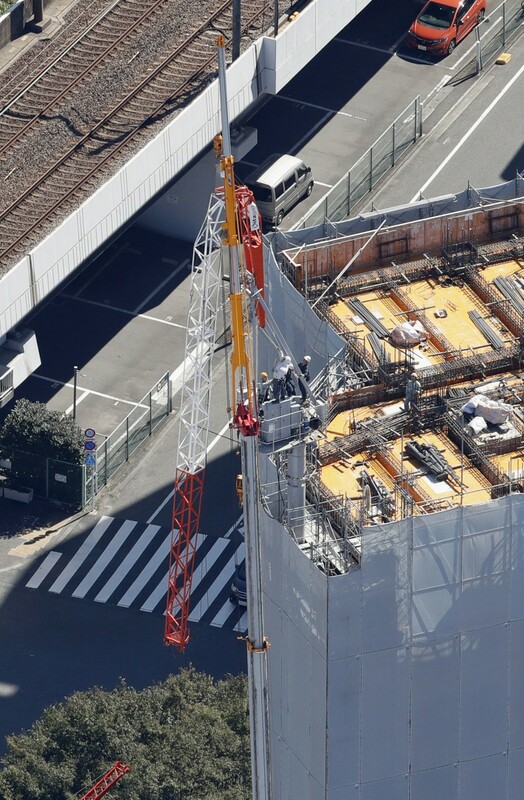 At a construction site in the Shinagawa district, the jib of a crane dangled from the top of the high-rise after being bent by strong gusts. 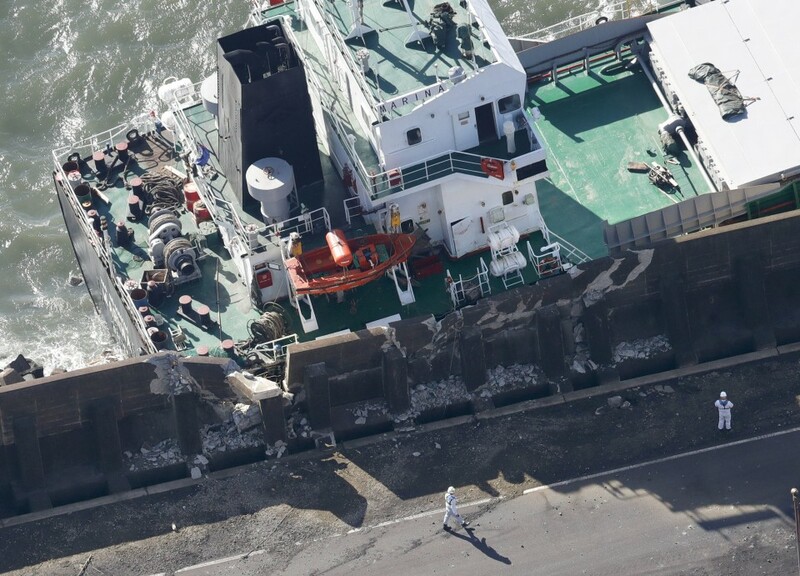 In Kawasaki, near the capital, a cargo ship slammed against a quay amid strong winds. On social media, Twitter user @shotyan426 posted a photo of a tree uprooted by the typhoon at Inokashira Park in western Tokyo. Meanwhile, @urakamis tweeted images of the damage at Ueno Park in central Tokyo. 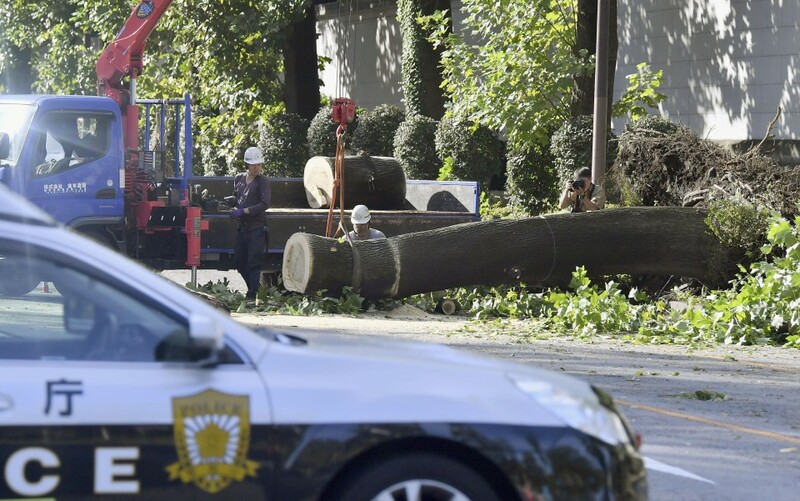 Ueno Zoo tweeted that its opening time would be postponed till 1 p.m. due to safety checks and the need to clear toppled trees. It also reminded visitors that admission is free on Monday as it is the annual Tokyo Citizens' Day. Trami was the latest in a series of typhoons that have pummeled Japan this year. In July, Typhoon Prapiroon brought heavy downpours that caused deadly floods and mudslides in western Japan, while Typhoon Jebi in early September flooded Kansai International Airport in Osaka, stranding thousands of people at the airport at one point. Kansai airport, which closed its two runways on Sunday in anticipation of Typhoon Trami, resumed its flights on Monday morning. As Typhoon Trami headed northeast and eventually petered out into an extratropical cyclone by Monday noon, temperatures rose in eastern Japan under sunny clear skies, topping 33 C in some areas in Ibaraki, Tochigi and Saitama prefectures. Japanese TV celebrity Takeshi Tsuruno tweeted a photo of Mt. Fuji under blue skies as he headed to work in Tokyo on Monday morning.